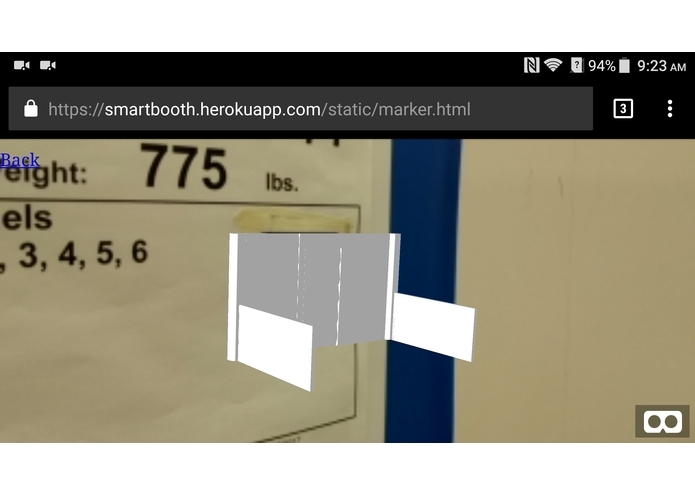 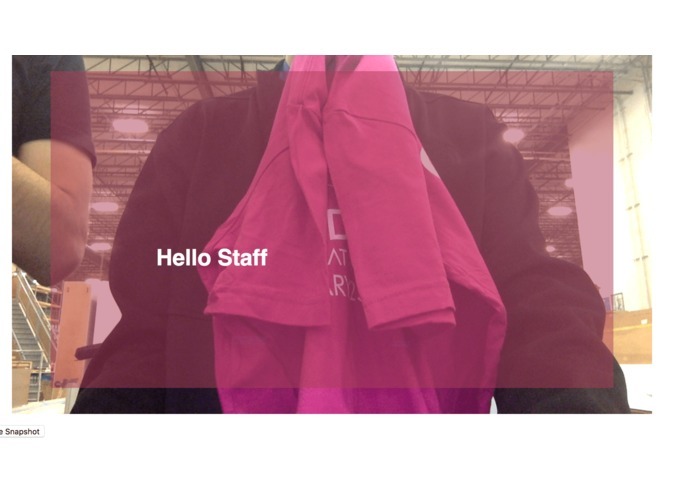 SmartBooth utilizes high-fidelity AR codes to increase exhibitors’ profits by maximizing attendees’ engagement. 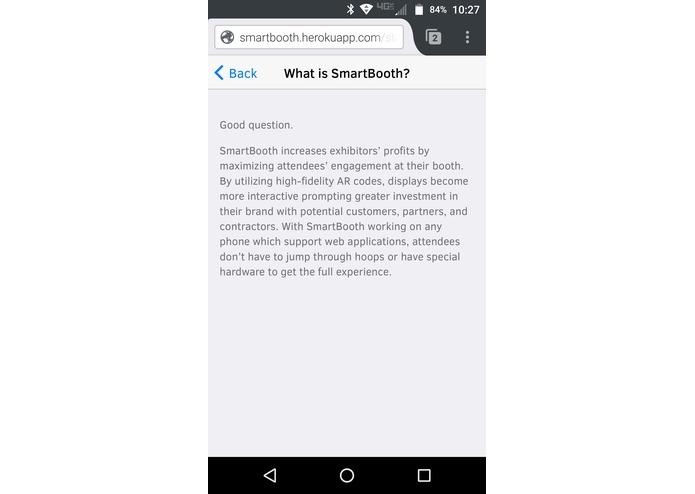 SmartBooth increases exhibitors’ profits by maximizing attendees’ engagement at their booth. 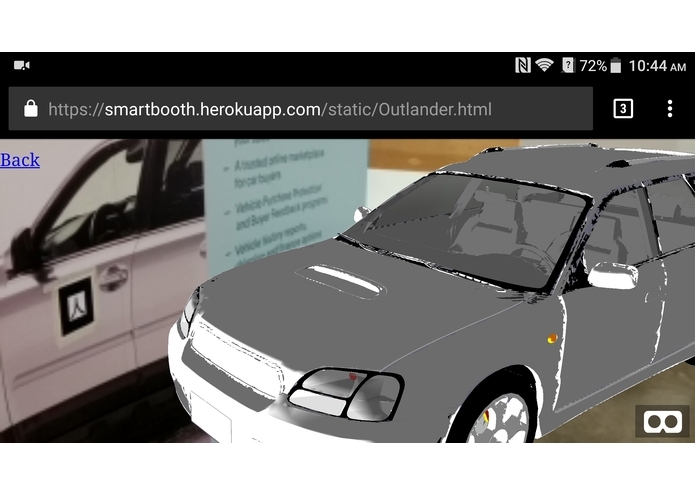 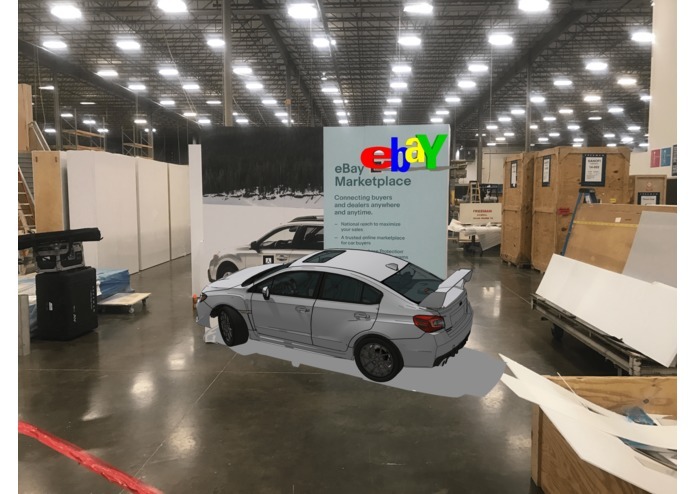 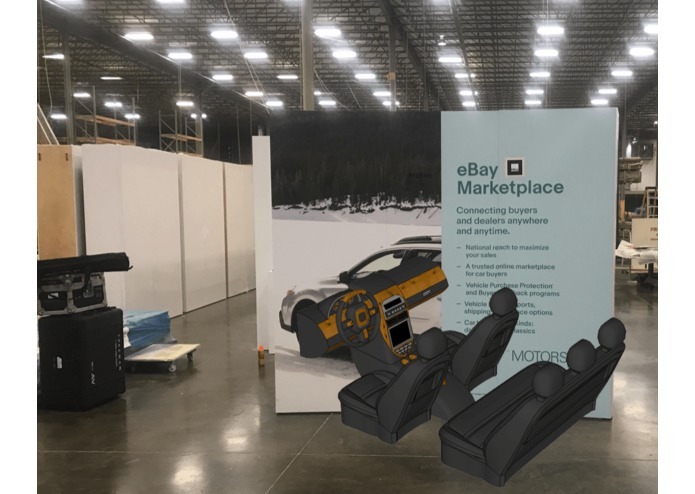 By utilizing high-fidelity AR codes, displays become more interactive prompting greater investment in their brand with potential customers, partners, and contractors. 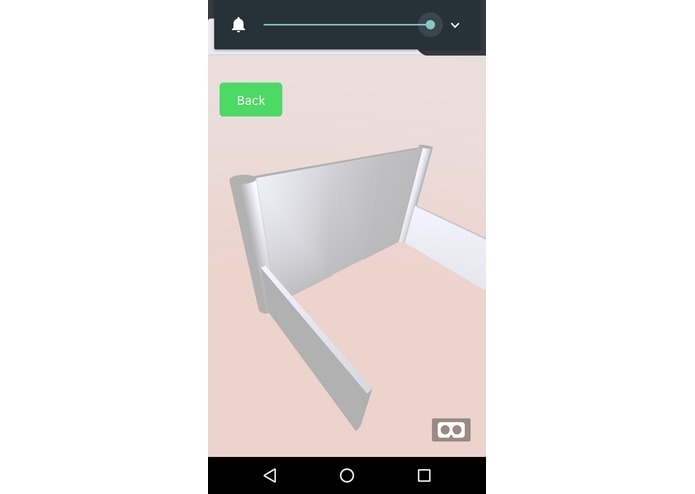 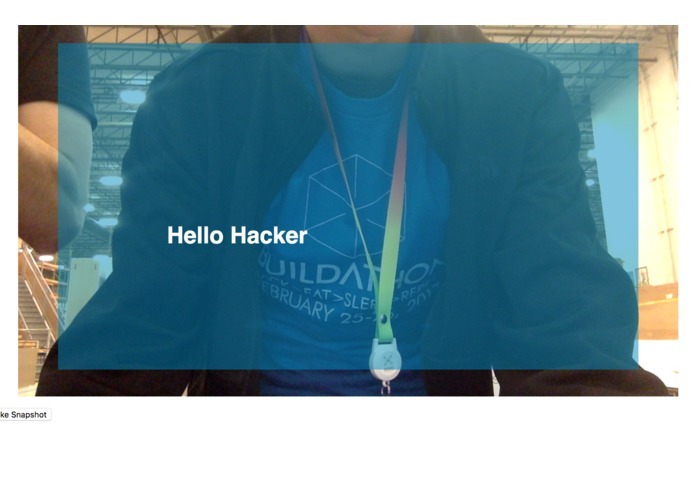 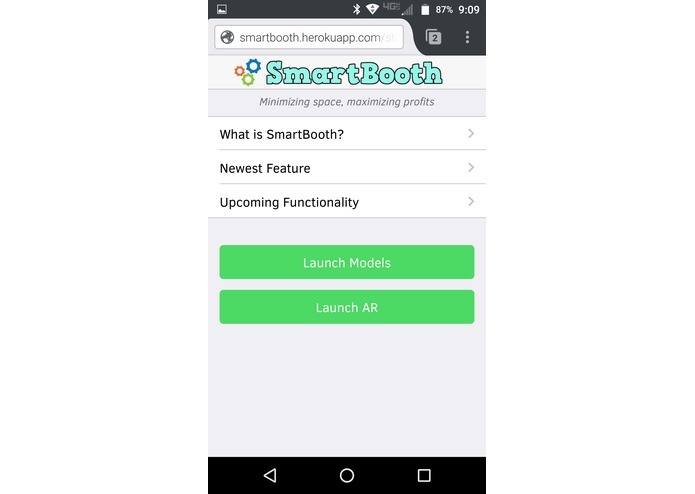 With SmartBooth working on any phone which support web applications, attendees don’t have to jump through hoops or have special hardware to get the full experience.